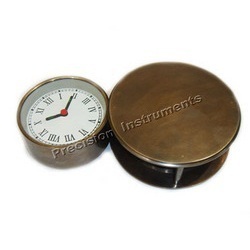 Inspired by our clients we have now started to manufacture and supply a wide array of Traveling Clock. Available in different colors, shapes, sizes and finishes, these are of high utility in office and corporate sector and known for their unique features such as smooth texture, classic design and durability. 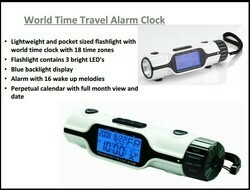 Owing to our rich industry experience, we are manufacturing, supplying and trading Traveling Clock. The offered clock would add a touch of beauty and embrace the wall area.